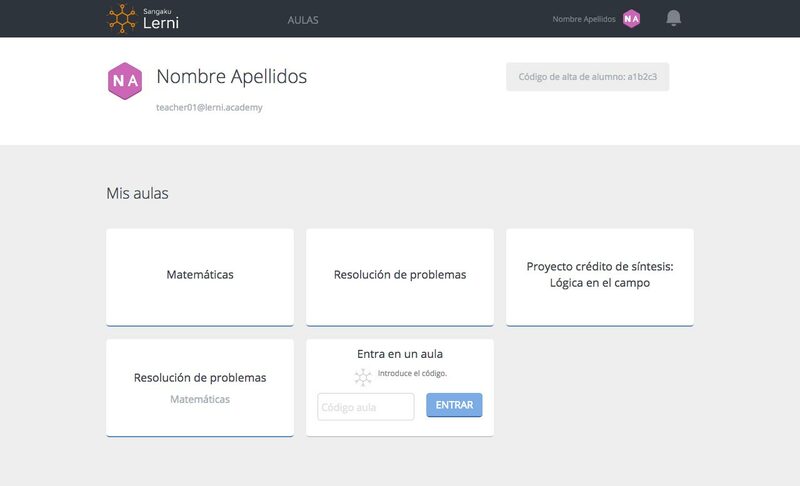 Frontend programming for all the pages of the collaborative platform focused to educational centers. 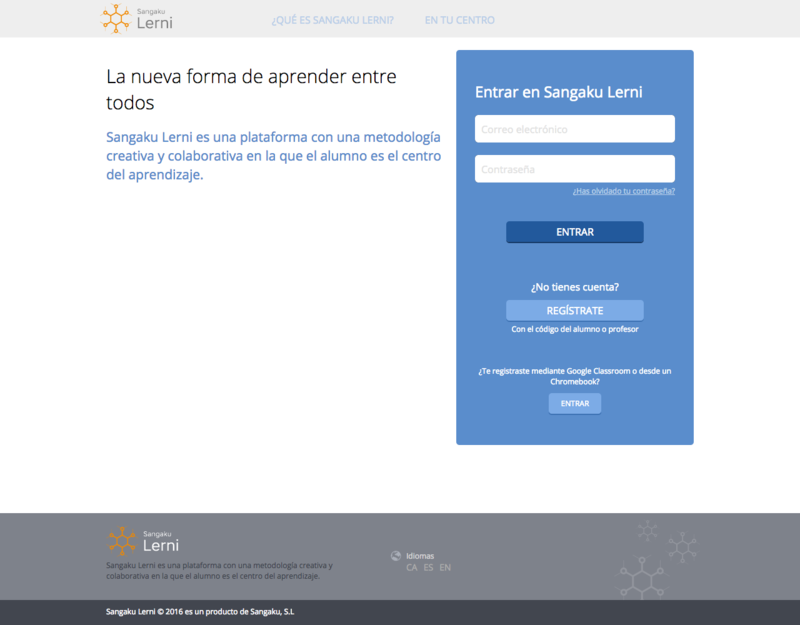 Sangaku Lerni is a platform for educational centers that allows students to put into practice a methodology based on the invention of activities and problems and their resolution in a collaborative way. 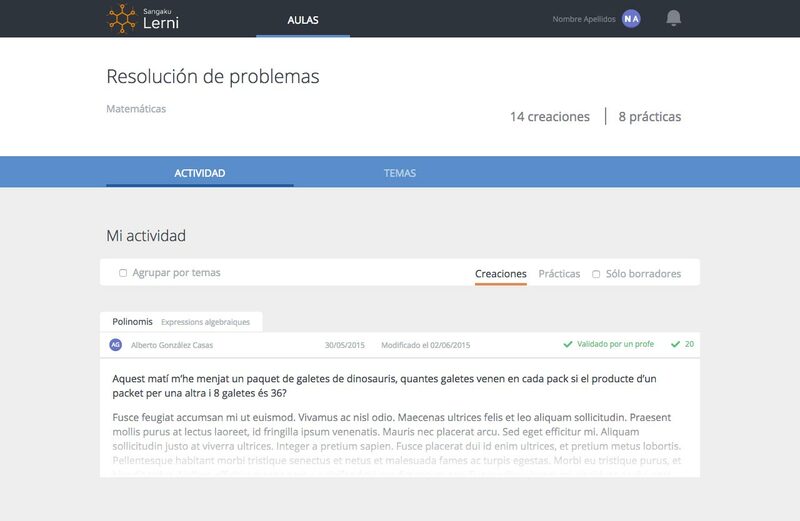 Page to access the platform. View of the classrooms by a teacher. View of the activity by a student.